The One the Only Street Bob. Screams Custom, Screams Old School. 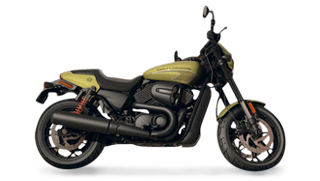 Long ,Low ,Wide and Lean this new and improved Street Bob has the new 107 Milwaukee 8 pumping beneath you on the lighter more tighter frame and the smoother suspension that let you keep on tearing up the miles for as long as you can stay upright. Dont let me be mistaken this bike is a pure cruiser but it does have the belly of a beast.